The "Magic Lantern" is a traditional nightlight which accompanies children to sleep. 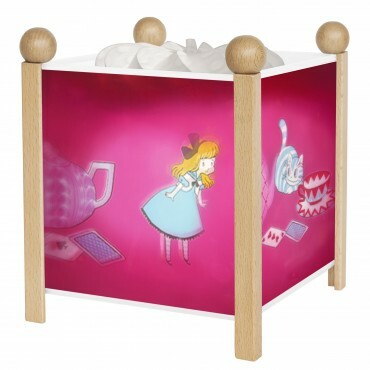 Inspired from an old Japanese tradition, this nightlight relaxes children when it comes to sleep. As soon as the light is "on", the heat from the bulb operates the propellor : caracters danse, a nice story going to start. This lamp complies with children lamp safety regulation : it is delivered with a bulb protector, an electrical transformer and a 10W bulb. Delivered in a giftbox.